At Frankfort, Ky., last August and October, there was a hearing on three new strip-mine regulations. These were later adopted and put into effect, and now even stricter measures are pending. And so there begins to be some evidence that the state government has at last undertaken a serious interest in one of the state’s most urgent problems. But since they face a powerful and determined opposition, supporters might do well to consider the attitude and the morality displayed by the mining companies at the hearings. And though violence to the earth must seem in the long view to be the gravest of their offenses, one is no less troubled by their violence to justice. For do not all our rights have as their ultimate expression and meaning the right of a man to be secure in his own home? When this right is no longer defended by any power greater than himself, his days begin to come to him by accident, in default of whatever caprice of power may next require his life. When the possessions and households of citizens are no longer honored by the acts, as well as the principles, of their government, then the concentration camp ceases to be one of the possibilities of human nature and becomes one of its likelihoods. Wendell Berry is a poet, activist and farmer whose writings—including the poem “November 26, 1963,” after the death of President John F. Kennedy—have appeared in The Nation for decades. The scene is a hearing room in Frankfort, Kentucky. The topic is strip-mining. And the observer is Wendell Berry. Those words appeared in the January 24, 1966, issue of The Nation, in an essay titled “The Landscaping of Hell.” Berry goes on to describe hardscrabble mountain homes and farms destroyed by mine “spoil”—lives recklessly, viciously disregarded. And as we know, the destruction of Appalachia never ceased. Berry’s essay could have been written yesterday. 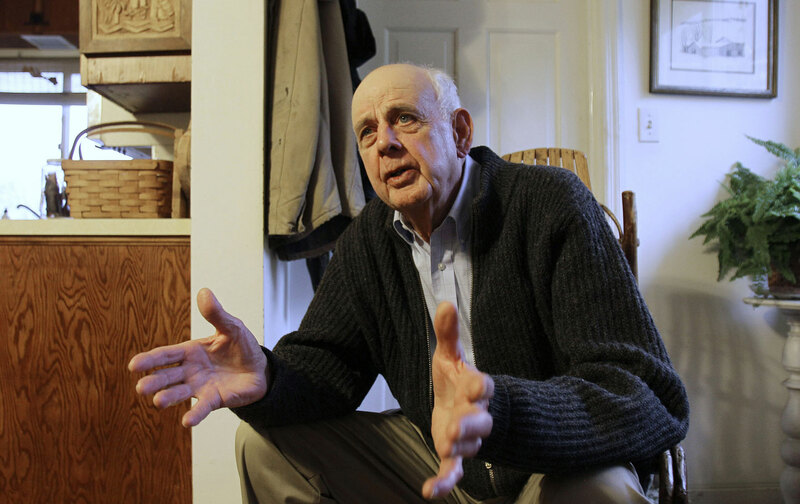 Wendell Berry, going strong at 80, is many things: a poet, a novelist, an essayist, an agrarian, a family man, a small farmer on the banks of the Kentucky River, a member of his rural community. And he’s an activist—perhaps even an environmentalist, though he transcends any narrow idea of what that word may mean. Like Henry David Thoreau, who was as much an abolitionist as a naturalist, Berry is most deeply concerned with how to live in relation not just to nature, but to nature and one’s fellow human beings—one’s community, in every sense, human and wild—because the two cannot be separated. That possibility is, if anything, more urgent today than it was in 1966, when Berry wrote prophetically in The Nation of “strip-mine morality.” To understand what he means, it’s helpful to revisit another of Berry’s prophetic essays, “The Gift of Good Land,” published in his 1981 volume by that title. There, he sets out to make “a Biblical argument for ecological and agricultural responsibility,” and in the process develops a scriptural and moral connection between land, community and justice. The “good land” to which Berry refers is none other than the Promised Land of the Old Testament: “a divine gift to a fallen people.” While condemning the “ferocity” and “genocidal intent” of the biblical conquest of Canaan, Berry wants us to see that it is accompanied in the Scripture, paradoxically, by an ethical system that is antithetical to the “greed and violence” of the conquest itself. Berry, first in the Nation essay and then in “The Gift of Good Land,” couldn’t be clearer: our relationship to the earth, the land, is the basis of our relationship to the community; and there can be no true community without love of neighbor—without justice, social and generational, in place and in time. What the coal—and oil and gas—companies are engaged in today is a kind of planetary strip-mining, the atmosphere choked with carbon spoil. And those living downslope are our own children and countless innocents everywhere—those alive now and those yet to be born. To live now as if one is alone—and as if profit is the only commandment—is to condemn every member of the human community to an irreparable world and an irremediable want.